Search Engine refers to the internet programs that we use to search the internet such as Google or Bing. 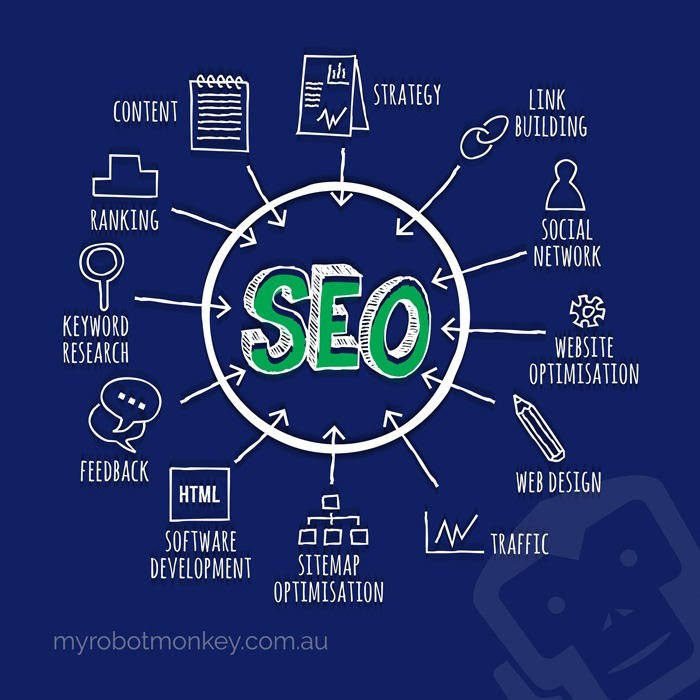 The term SEO / Search Engine Optimisation is used to mean the process of optimising your website and online presence in a way that the search engine programs are able to understand. The Search Engines will then find and rank your website when people search for something related to what your website offers. The goal of SEO work is to improve your position on the results pages of search engines such as google. Once someone searches for a term which your website ranks for then you will show up as one of the results that the search engine shows to the person searching. This is great, the search engine understands that your website is relevant to what the person has searched for. However, your website result might show up on page 8,093 of the search engine results! And we all know that no one really looks past the first page of results when they search for something. So even though your website is showing up in the results for the relevant term, chances are, no one will ever see it! This is where the work really begins, by improving your SEO you can move up through the results to show up in the first 10 pages of the search results for your chosen keyword / search term and you will start to see your organic website traffic increasing. From there you can keep improving and make it on to page one of the search results for keywords that are relevant to what you are offering. When you do achieve a good position in the results pages of the search engines it can make an immense difference to the amount of people who see and visit your website. This can absolutely make or break a business. Achieving good search results positions for your most relevant keywords means you can massively increase your organic website traffic which in turn can reduce the costs on other marketing required to draw people to your website. Good SEO leads to higher volumes of relevant, organic ‘free’ website traffic and can make all the difference to your businesses revenue, brand recognition and overall success. After all, it doesn’t matter how amazing what you are offering is, if no one sees it, you don’t even exist. SEO work is time consuming and can be complex, there are many many different aspects and potential techniques that SEO technicians may use, some of which are contested between different SEO specialists. 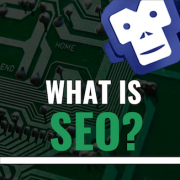 An important thing to watch out for is what is known as ‘Black Hat SEO’ This is the name given to any SEO technique that is deemed as unsafe, sneaky or unethical. The exact reasons and list of techniques that may be labelled as black hat can change depending on who you ask and can even change over time when a technique that was once useful is blacklisted by the search engines. Essentially undertaking Black Hat SEO is a ticking time bomb that can hurt your website, or even get it banned from search engines at any point in time so it is important to make sure your specialist is not using any dodgy tactics. If the SEO is a lot cheaper than other quotes or shows a large amount of results within the first couple of weeks or does not explicitly state that it is white hat only, these are warning signs that they are potentially using dangerous techniques. As with all good things in life there are no shortcuts. It is important to find a specialist that you trust and who will take the time to explain what has been done, what any potential implications could be and what they hope to achieve from it. Have patience, quality SEO work can take 3-6 months to begin to show results but you should start to see your organic traffic increasing eventually and your search results positions getting closer and closer to that coveted first page. If you want your website to be found and then if you want to stay found you need to work on your SEO. Check out our SEO services here.